UPDATE 9/11/12: Early this morning, Frank Ocean announced that John Mayer will join him on SNL. Mayer plays guitar on Channel Orange track "White." 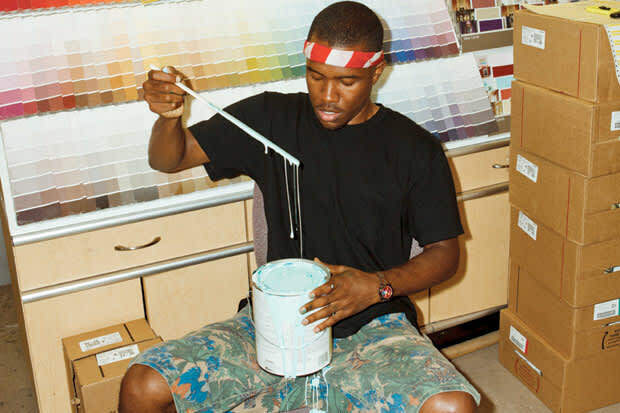 UPDATE 8/29/12: SNL has officially announced that Frank Ocean will be the first musical guest of the show's 38th season. Seth MacFarlane, of Family Guy fame, will host the episode, airing September 15th on NBC. Frank Ocean will perform at this year's Video Music Awards, MTV has announced. Ocean, a nominee for Best New Artist, will appear along with other former FADER cover stars 2 Chainz and Wiz Khalifa, who'll present awards. Find a complete list of nominees here and watch the ceremony live on September 6th at 8PM EST.